The web developer extraordinaire! 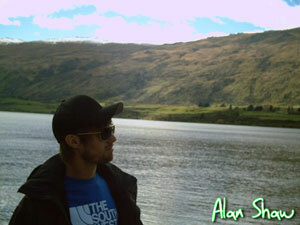 Alan has been the main man behind our websites since 2002 and knows pretty much all there is to know about it. One of the original Flipside Team members, his thirst for travelling has been ignited, he's just got back from a season out in New Zealand and Australia Snowboarding and Streetboarding, and is already planning more trips. Alan Placed 2nd in AM at the 2000 UK National Streetboard Championships and has since decided to let others share the spotlight, skating in between work and his many other escapades that include saying "niiiiiiice!" a lot in his sleep. Clearly happy thoughts were had. One of the best guys ever to hang out with, laughs and good times are always had when he's around and he can party like there's no tomorrow. Plus he owns a Nintendo Wii. Good lad!